In practical terms, this rating can be vital in those long winter months when daylight is so scarce. 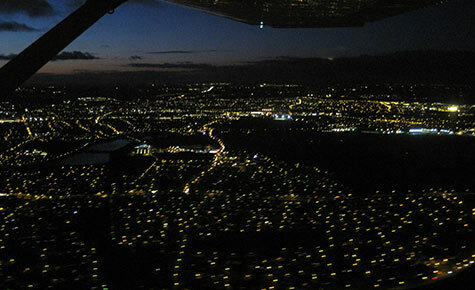 For the privileges of the Private Pilots Licence to be exercised at night, a Night Rating is required. This can be achieved during training for the PPL by completing five additional hours night flight time. Most people however undertake the required five hours training after they have completed their PPL. 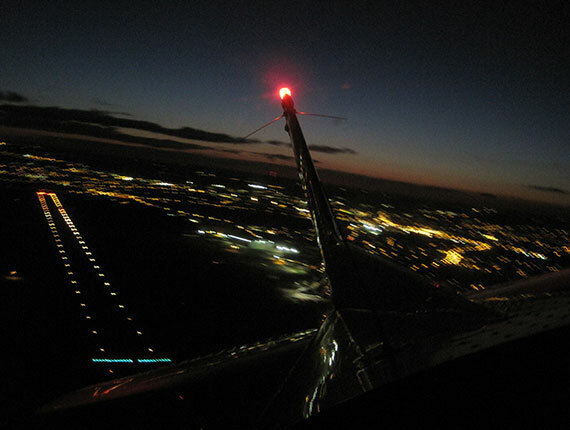 You may be a little apprehensive about flying at night, but in reality it simply combines the techniques of visual and instrument flying which you have already learnt, and is no more difficult than flying during daylight. 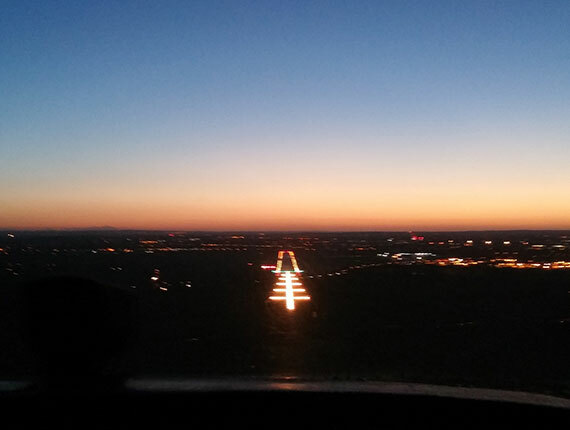 The night rating is one of the most straightforward ratings to obtain, making it popular with newly qualified pilots. Night is defined as 30 minutes after sunset until 30 minutes before sunrise and the course is likely to be spread across 6 flights. Once granted, your night rating will remain valid for the duration of your licence. 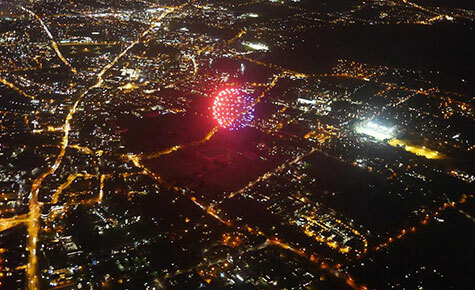 If you wish to carry passengers at night, you must have completed the appropriate number of both day and night time take offs and landings required by the CAA.